Loving Ivory: Filing Cabinet Project - Finally Finished! After what seems likes ages I've finally finished the filing cabinet project. Looking back, here is what I started with. 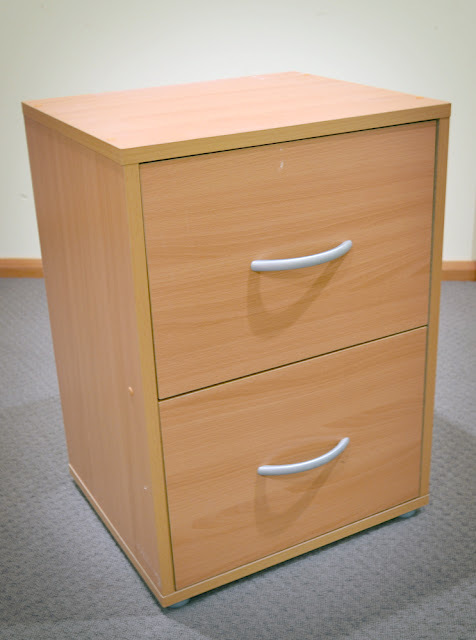 An old, veneer, filing cabinet from Officeworks. oh, veneer! what can we do with you? I know, I could have easily bought another on the cheap, but I was up for challenging myself. I wasn't sure how successful it would turn out, and whether it would fit in with the whole home office redo. 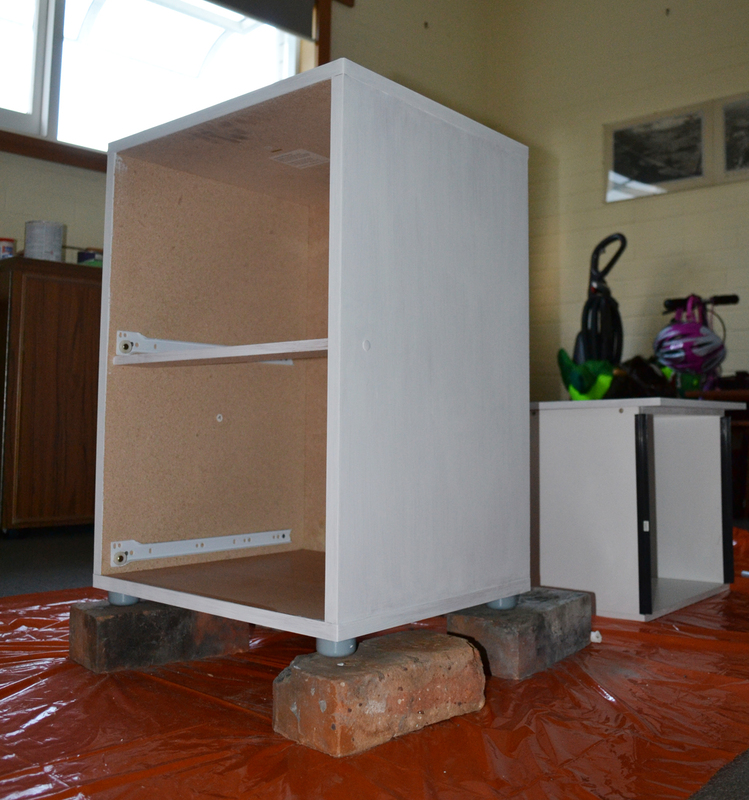 I decided to try and insert a 'fun' element (onto a boring cabinet) by painting the fronts with chalkboard paint. Now that we have a new little addition to the family - I think its time for furniture to multi-task (if possible). We went with Porters Paints, and still have quite a lot left for other projects - thinking feature shapes for the girls rooms, not sure.. might ponder for a little while longer. added a little white to the chalkboard paint = lovely grey! Here we used Dulux Antique White USA semi gloss, two coats - we have used this shade extensively throughout the house and thought the cabinet would blend in very well. I love these old fashioned shell-like handles, so much so I bought two extra for when we tackle the small writing desk. What about a hook and little bucket to hold all those pieces of chalk? Might add that to the side if theres room.